Black Friday Sale! 40% OFF on all annual plans. Offer ends in 3 days! Get Spocket now. With the help of Machine Learning, we are set to revolutionize the dropshipping market and aid online retailers to compete with Amazon - by removing the need to hold inventory and erasing upfront costs for retailers. We enable over 20,000 entrepreneurs across five continents to launch and scale their online stores. Be part of the revolutionary vision of Spocket to remove inventory from the online and physical retail by using the dropshipping model and fixing the $1.1 trillion issue called inventory distortion. Work in your own style and have a blast while doing it. 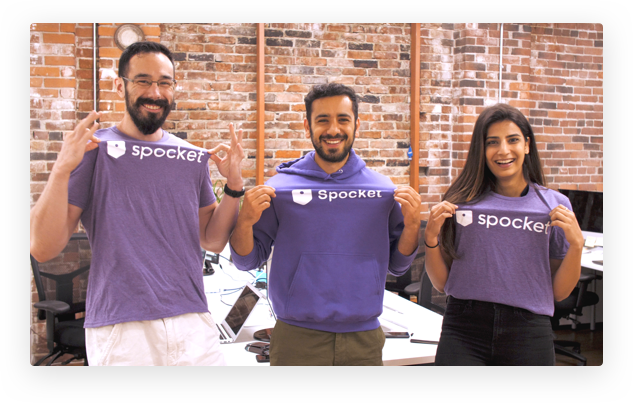 Spocket encourages learning & the opportunities to grow are plenty.